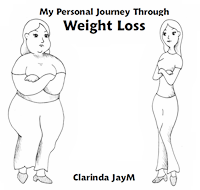 Buy My Personal Journey Through Weight Loss now to find out how I lost 56 lbs in a year, and kept it off! This site is dedicated to my own thoughts on how to lose weight and be happy, safely and healthily. On it you can find my Blog, and my own e-book, which tells the story of the way I lost 56 lbs in about a year, and in doing so became a trim, fit and healthy middle-aged woman. I am now 62 but feel years younger – thanks to this regime, which I worked out for myself to suit my own body and metabolism, but also my own needs and lifestyle. I designed this regime to fit into my life, and I am sure that anyone who really wants to lose weight can do this also following the ideas related in this wee book. This book is the story of my personal story, but I truly hope it will inspire others and help them to become a new person, both physically and emotionally, as I did. Gluten-free – how I cook for itThe benefits of being gluten-freeBeing gluten freeThe Staff of LifeFat - is it really that bad for us?